The only way is Essex, they say. Where that benighted county leads, the rest of the world follows. 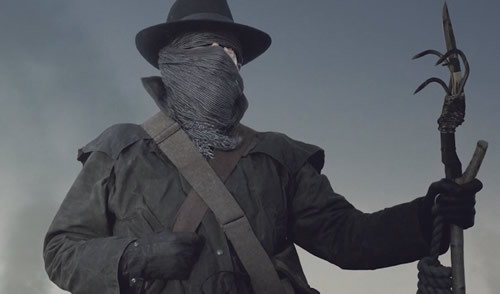 Some time ago I brought to your attention the philanthropic gestures of an anonymous donor who posted envelopes of loot through the letter boxed of former residents of a village close to Colchester. Needless to say, the gesture has spawned copycats. The latest outbreak of “spontaneous” philanthropy to come to my attention is that of an anonymous, wealthy Californian hiding behind the twitter tag of Hidden Cash. He has been hiding packets containing up to $100 in public places in San Francisco, Oakland and San Jose and then posting clues as to the whereabouts of the loot on his Twitter account. The mystery benefactor has been laying out $1,000 a day in what they have described as an anonymous social experiment for good. It is thought that the dosh is part of the proceeds from a profitable property investment. Financial acumen may be one thing but originality, I’m afraid to say, is sadly lacking. Nottingham is fast earning the reputation of being the UK’s capital of music critics. Just before Christmas complaints from shoppers led to the eviction of an over-enthusiastic orchestra from a shopping precinct. 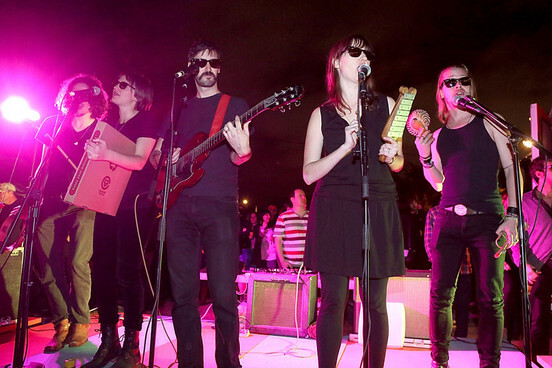 This week the band of minor celeb, Macaulay Caulkin, Pizza Underground, which plays pizza themed versions of the Velvet Underground’s meisterwerks, were bottled off stage at the Nottingham leg of the Dot To Dot festival. Keep it up, I say. What can I do to entice a few itinerant bagpipe players to visit the Lace city? One of the favourite nursery rhymes of all times is Humpty Dumpty which, as I’m sure you don’t need reminding, goes like this, “Humpty Dumpty sat on a wall,/ Humpty Dumpty had a great fall./ All the king’s horses and all the king’s men/ Couldn’t put Humpty together again”. The quatrain is another example of the trochaic metre which is commonly used in nursery rhymes because it is easy to remember. 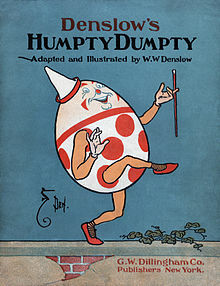 Humpty Dumpty was characterised by Lewis Carroll in his book, Alice Through The Looking Glass, as an anthropomorphic egg and this is the image most of us have of the character. Eggs, of course, are fragile things and it is easy to associate the fate that befell Humpty with what can happen to an egg. But Carroll was not the inventor of the rhyme. It was first published in Samuel Arnold’s Juvenile Amusements of 1797 but its antecedents almost certainly go back earlier than that. And who was Humpty Dumpty? As usual there is no definitive answer but there are a number of suspects. First up is Charles I who, of course, lost his head at the hands of the Parliamentarians, despite the best efforts of his supporters, the cavaliers. Another suspect is Richard III who ended up under a car park in Leicester after being killed at the battle of Bosworth, again despite the best efforts of his supporters. But Humpty Dumpty was a sobriquet given to fat or large people as far back as the 15th century and there is no conclusive evidence that either Richard III who was famous for his hunchback or Charles I were porkers. The theory I like best owes its origins to the English Civil War. Cannons were used with greater frequency during the campaign and were cumbersome, requiring several people to move them. Colchester, a major town in Essex, was protected by a city wall at the time and came under siege from the Parliamentarians in 1648. A large cannon was stationed on the roof of St Mary’s By The Wall and the gunner named One-Eyed Jack Thompson – would love to know how he got his nickname. So effective was our Royalist Cyclops and so much damage did he cause to Lord Fairfax’s troops that he and his cannon were singled out for special treatment. Some time on the 14th or 15th July 1648 Thompson and his gun came tumbling down and the damaged cannon couldn’t be hauled back into place. On August 28th 1648 the Royalists laid down their arms and surrendered to the Parliamentarians. Sounds plausible and makes for a great story. I find there are three things to look forward to with a long haul flight – the opportunity to catch up on some sleep, to get stuck into a book and to enjoy an endless supply of free hooch that the cabin staff are only too happy to pour down your neck. But is it me or does my normal poison of choice on a plane – a G and T with not much T, thank you very much – not taste as appealing as it might do on terra firma? And, if so, which drink has its taste enhanced 34,000 feet above the earth? Well, according to no less an authority than the founder of the Centre for the Study of the Senses at the University of London, Professor Barry Smith, the very act of travelling in an aeroplane can affect taste. Some tastes are affected adversely and some are enhanced. According to the prof, the optimal drink for the air traveller is a Bloody Mary, the vodka and tomato juice cocktail. The key to it all, he reveals in the ever popular journal, Flavour, is umami – no I had never heard of it either. Tomatoes are crammed full of what has been termed the fifth taste – complementing sweet, sour, salt and bitter. Other foodstuffs full of the savoury taste are asparagus, meat and cheese. The taste of umami is subtle and blends well with and rounds out other tastes and flavours. We wouldn’t recognise umami if we came across it but it is an important ingredient in the make-up of tasty food. And why does it work particularly well on planes? Well, in the aircraft cabin our senses are assaulted by sound – whether it is the squealing of babies or the coughing of the MER sufferer in the seat behind you or the general hub-bub of chatter – and sweet and sour tastes become harder to discern. Umami flavours, however, are unaffected and, as a consequence, the tastes seem to have been enhanced. Dr Kikunae Ikeda of Tokyo Imperial University is the gent responsible for identifying umami when he started investigating, as you do, what made dashi stock, made from kombu (kelp) and an indispensable part of Japanese cuisine, so tasty. In 1908 he succeeded in extracting glutamate from the stock and determined that it was the main active ingredient. He coined the term umami to describe the taste. Further investigations led to the discovery that umami was present in some of the foodstuffs that us Occidentals favour. So there we are, next time I step on an aircraft it is a Bloody Mary for me. I will let you know how it tastes! For an artist contemplating a live show one of the most significant challenges is how to open it. Inviting a support act to open up is often seen by the die-hards as an open invitation to spend another half hour in the bar. Opening up with your new concept album with which very few of your audience will be familiar is a very high risk strategy, particularly if it starts off with dodgy amateur theatrics but this is the route that Ian Anderson of Jethro Tull, as he likes to be styled these days, chose to adopt at the G-Live in Guildford the other day. Homo Erraticus, for that is the name of the concept album, is based on the unpublished manuscript written whilst under the influence of malarial delirium by an amateur historian, one Ernest T Parritt. It examines key events in British history – a sort of poor man’s London Olympics opener – through the eyes of a nomadic Neolithic settler, an Iron Age blacksmith, a Christian monk, a turnpike innkeeper and Victoria’s consort, Prince Albert, and is laced with prophecies about the current day and the future. Actually, it is not as bad as it sounds and the music is the usual blend of prog rock, folk and heavy metal laced with quirky lyrics, beautiful flute parts, electric organ and guitar on top of a solid rhythm courtesy of bass and drums. As the first half wore on it kind of made sense and there were some memorable tunes. The maestro shares vocal duties these days with Ryan O’Donnell and he managed a few arthritic trade mark solos on one leg. The second half saw the band on surer ground and the difference in the crowd reaction to an hour of old faves ranging from Living In the Past to Aqualung and Locomotive Breath as an encore was astonisihing. The version of Aqualung was probably the best version I have heard live and the band were really firing on all cylinders by then. Even Anderson had loosened his joints and was hopping around on one leg like a good ‘un. For a man who has made a living from pushing out the boundaries, the mix of new and old was no less than we would expect from Anderson – it was disconcerting to see footage of the old Tull and Anderson in his pomp, thin, hirsute, bug-eyed, projected behind the band while you had a stocky balding 66-year-old performing in front of you – but it made for an unsettling evening. I couldn’t help reflecting that whilst erraticus in the title of the album means wandering, many fans might have wondered whether it was really a mistake. If you were asked to name a staple product from Sri Lanka you would probably say tea. Over 1 million Sri Lankans work in the industry and about 4% of the island’s land mass is given over to the cultivation of the crop. It wasn’t always thus. At the start of the Brits’ colonisation of the island then known as Ceylon, coffee was the staple crop but in the late 1860s a disease known as coffee rust brought the industry and the island’s economy to a state of collapse. 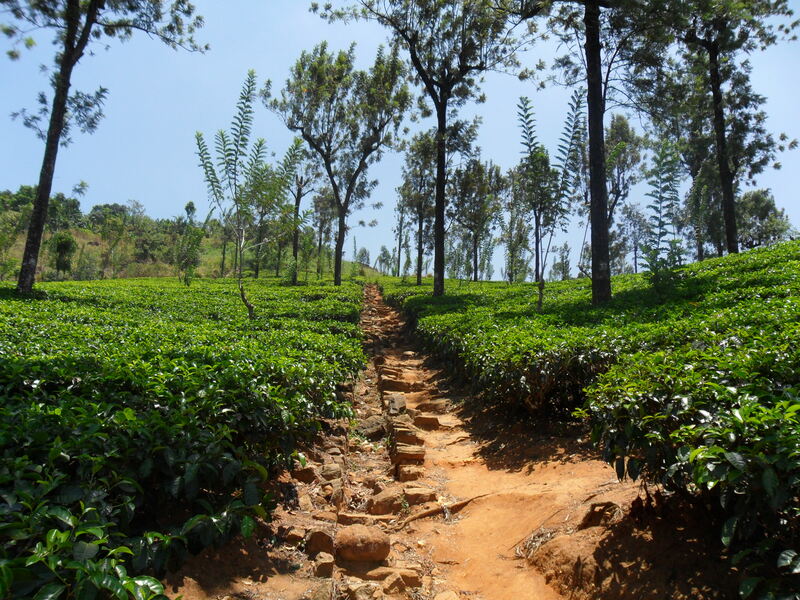 A Scotsman, James Taylor, is credited with establishing the first commercial tea plantation, just 19 acres on the Loolecandra estate near Kandy, in 1867. By 1872 he had established a fully equipped tea factory on the estate and the first consignment of Ceylon tea reached Blighty’s shores the following year. Sir Arthur Conan Doyle, no less, remarked that “the tea fields of Ceylon are as true a monument to courage as is the lion at Waterloo”. We had a very interesting tour of the hill country in Sri Lanka where all you can see is tea bushes. The crop grows best at altitudes in excess of 2,100 metres and requires annual rainfall of around 100 to 125 centimetres. Principally, the method of cultivation is what is known as contour planting with the bushes planted in lines that follow the contours of the slopes of the hills. Travelling around that part of Sri Lanka you would have thought you were in Scotland, many of the estates and some of the place names bearing testimony to the Scottish antecedents of the colonial planters. 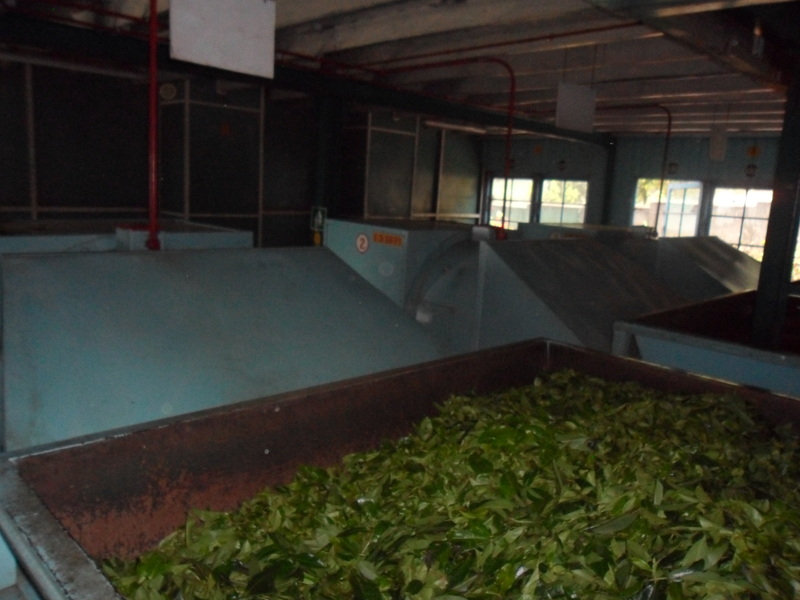 We visited the Glenloch tea factory and had an interesting tour around the site, finishing off with a lovely pot of tea and the opportunity, which we didn’t pass on, to buy some of the produce. Inevitably – it is amazing how often this is the case – the produce didn’t taste as wonderful at home as it did in loco. A high proportion of the tea workers are women – about 75% to 85% – and they are paid a pittance. They pluck two leaves and a bud from the bush which gives the beverage its flavour and taste. 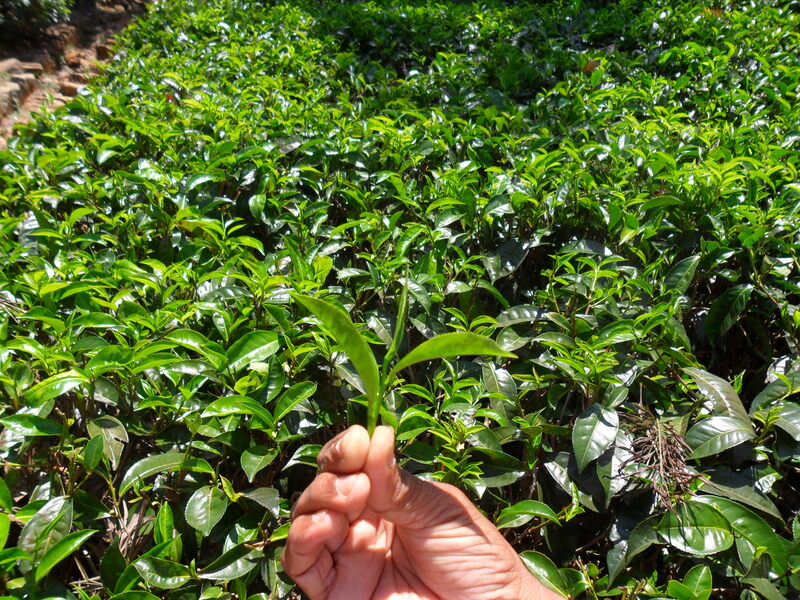 Because the tea in Sri Lanka is picked by hand (still) the growers can ensure the quality of their end product. 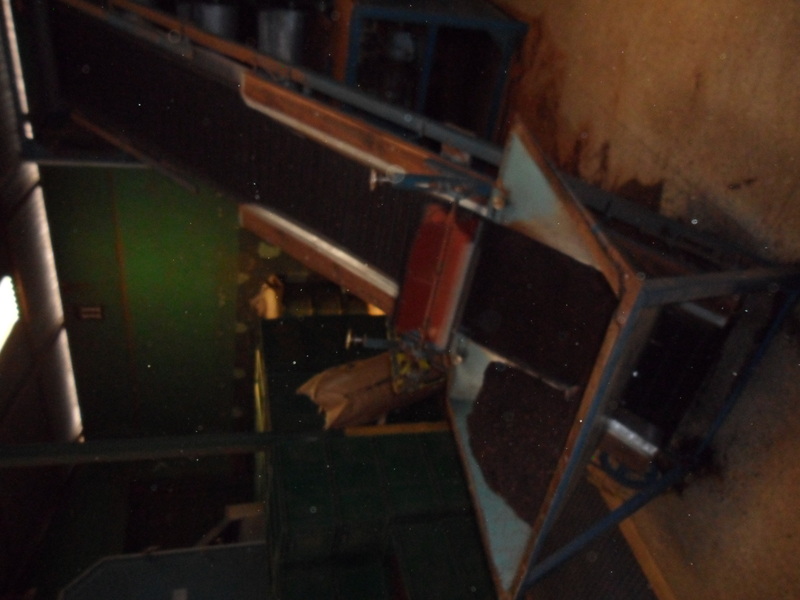 The factories themselves are full of Heath Robinson contraptions which date back to the Victorian era and which subject the leaves to a number of processes including rolling, fermentation, firing to retain the heat after fermentation and sifting. It was a surprise to me – shows what I know – that the various types of tea come from the same leaf – the differentiator being the size of the bit of the leaf as it is sifted. Many of the tea pickers are Tamil by origin – they were brought over in the mid 19th century initially to work the coffee plantations and later moved on to tea, thus sowing racial strains with the indigenous Sinhalese which has blighted the country ever since. Next up, the delightful town of Nuwara Eliya. Charles Lamb, the English essayist, was a fan of the asparagus and it seems that us Brits are once more warming to it as a vegetable. Even though the advent of the supermarket has meant that fruit and veg has largely lost its seasonality I still think that the sight of asparagus in the vegetable section – Waitrose, my dear, not Aldi – is a harbinger of spring. You may not have realised it but we are in the middle of an asparagus boom. The demand for British-grown asparagus has rocketed to such an extent that producers have nearly trebled the amount they grow over the last decade. The British Asparagus Association report that demand here for the vegetable has soared by 540% over the last ten years and the amount of farm land given over to its cultivation has risen by 176% from 788 hectares in 2005 to 2,178. This empirical evidence is supported by the nation’s grocers. Tesco reports demand is growing at a rate of 20% per annum while Marks & Spencer reports sales increasing by 48% and Waitrose by 28%. They are a bugger to grow – very labour intensive I’m told – being the young shoots of a cultivated lily plant and have a distinct, intense savoury flavour. 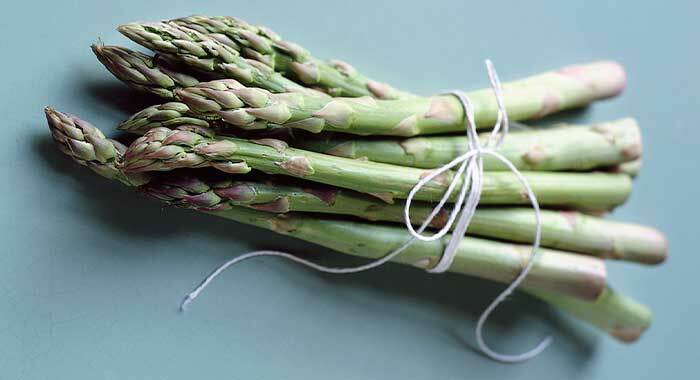 They are full of nutrition – I prefer the sprues, the young, very slender asparagus – with high levels of vitamins A and C, potassium, iron and calcium. The downside is that they are diuretic – they increase the production of urine in the human body – and they give your urine a distinctive aroma – so make sure you are near a carsey when you eat some. Whilst you can get asparagus pretty much all the year round – the French asparagus is purple and the Spanish and Dutch produce is white because it is grown beneath the soil and cut just as the tips emerge – the British version, which is green, is the most sought after (natch) and is only available seasonally, generally between May and July. If you’ve never tried the vegetable, when sifting through the shelves you should select those whose tips are tightly furled and perky rather than limp and the shoots should be straight and firm. Sprues need no preparation other than a wash whereas for larger asparagus you need to bend the spear until it snaps and throw the woody bit away. The rise of the asparagus in popularity is proof positive, if you really needed it, that in some quarters our taste in food is becoming more sophisticated and that the contents of our shopping basket show that we are two nations under one roof. I remain to be convinced about the thoroughness of vehicle services and MoT tests conducted by authorised dealerships and my scepticism was reinforced when I came across this charming tale of everyday suburban life the other day. Clare Waterfield of Plymouth owns a Mercedes-Benz Sprinter van and took it to her local dealership for its annual MoT and service. The vehicle failed because of an exhaust leak but after the necessary repairs were carried out, she drove it home. In the interim, one of her two cats, Oliver, had gone missing and despite searching high and low the errant moggy was nowhere to be found. Once the van was back on the drive her other cat, Benji, started sniffing at the bonnet. Opening up the bonnet the owner to her amazement found Oliver behind the engine block where he had been throughout the rigorous and extensive service! Red faces at the garage I’m sure. Oliver is unscathed from his ordeal although upon release he had the distinct whiff of engine oil about him!